Here we are again at the start of another week of presumed uncertainty regarding the status of Tommy Armstrong Jr. 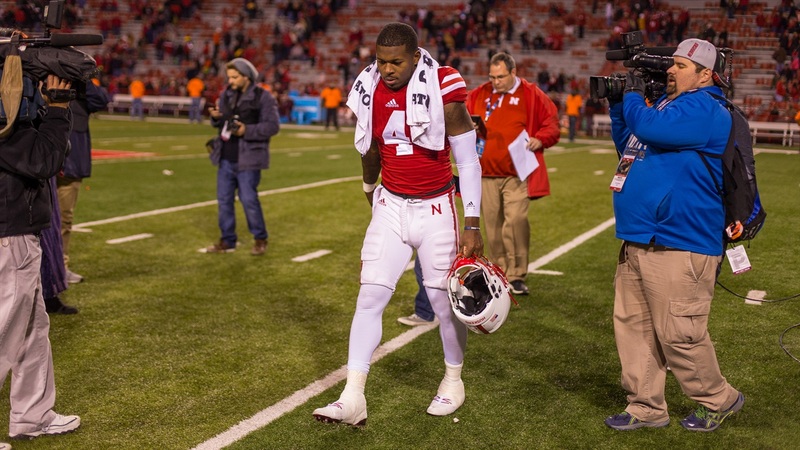 The senior quarterback left the win over Minnesota late with an apparent hamstring injury. Totally guessing here -- Mike Riley will set the tone for discussions this week in a couple of hours with his weekly update -- but I suspect Armstrong will play in his final game at Memorial Stadium. I also suspect Nebraska to be fairly opaque about that fact throughout the week, and why not? Not only did Armstrong have one of his best games of the season last week following a week of uncertainty, but if Maryland doesn't know which quarterback it's facing, that would only even the scales because the Huskers probably aren't going to know who will be taking snaps for the Terps. Three quarterbacks have played in nine games each for Maryland this season (in order of pass attempts): senior Perry Hills, true freshman Tyrrell Pigrome and senior Caleb Rowe. Hills is far and away the preferred option. He's completing 66.7 percent of his passes with 10 touchdowns to three interceptions. His absence would be notable. Hills injured his shoulder against Ohio State -- the other shoulder than the one that had already forced him to miss parts of three games and sit one out entirely -- and his status is in question for Saturday. That leaves Rowe and Pigrome. He got the call first last week, though he's attempted just 36 passes over nine appearances and is still looking for his first touchdown pass of the season. Rowe probably represents the safe option, particularly on the road, if Hills can't go. Pigrome, the high school player of the year in Alabama last year, is the dual-threat option. He ranks third on the team in rushing yards (229) and is completing passes at almost the exact same rate (on more attempts) as Rowe. But the young quarterback appears pretty limited at this early stage in his career as a passer, averaging just 4.6 yards per attempt. That's a pretty safe passing package. Despite the fact that nobody knows for sure who will be taking snaps either way, the Huskers opened as a 14.5-point favorite on Sunday. Nebraska men's basketball opened the 2016-17 campaign with an 83-61 win over Sacramento State. If you weren't able to catch the game, we've got you covered with the game story, notable quotes and photo gallery. Nebraska returns to action Tuesday night at 7 p.m. CT, hosting University of Mary. Saturday's game against Louisiana Tech, in reaction to the 11 a.m. kickoff for Maryland-Nebraska, will tip off at 7 p.m. CT.
ICYMI: We sent photographer Paul Gero to document Calabasas High School's first-round playoff win last Friday. Check out the exclusive photos here. Maryland lost its past two games (to Michigan and Ohio State) by a combined score of 121-6, the worst back-to-back defeats in school history. Michigan papered over Iowa's pink locker room on Saturday, which obviously was not the key to victory. Get ready for a bunch of discussion over the next few weeks over which playoff contender lost the best. In addition to quarterback questions, Maryland also suspended three freshmen prior to the Ohio State game, including second-leading rusher Lorenzo Harrison. No announcement yet on when the three might return.